The proclamation of Latvia’s independence is one of the most important events in the history of our country, but do the Latvian people know how it happened? An attractive interactive video has been created to help people understand how Latvian independence was declared on 18 November 1918, one hundred years ago. This video allows us to return to the past and participate in the proclamation ceremony. Everyone is invited to watch the video at www.ieejaskarte.lv/en and test their knowledge about the events leading up to the proclamation of the state, taking a virtual trip into the past with actor Ģirts Krūmiņš. Many people have seen the photograph of the proclamation ceremony, but why did photographer Vilis Rīdzenieks take only one? Why was the stage designed as it was and how was it done? Who sewed the Latvian flag? Who organised the proclamation ceremony? What did the first statesmen of the new country say in their speeches? Find out the answers to these and other questions by watching the video and answering Ģirts Krūmiņš’ questions. One hundred years ago, the ceremony could only be attended with a special entry card. Today, thanks to modern technology and digitalised archival material, this opportunity is available to everyone. The video is available in Latvian, English and Russian subtitles available. 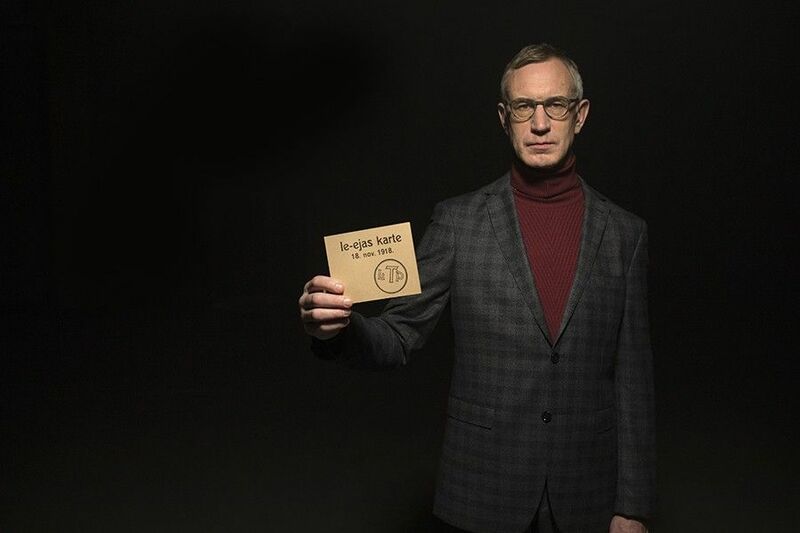 The project Entry Card was created by the Latvian Ministry of Culture’s Office Latvia 100 in cooperation with CUBE; history consultant—Barba Ekmane, Head of the Interwar History Division of the Latvian War Museum.